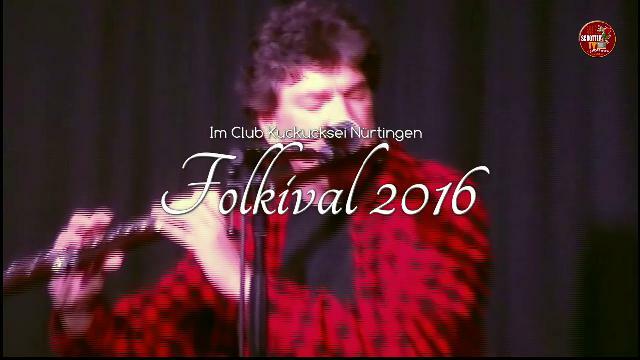 SCHOTTENTV EPISODE 17 - FOLKIVAL 2016 SPECIAL. Interviews with Eleanor McEvoy, Paul McKenna, Hoodie Crows and more and excerpts from the amazing festival in Nürtingen. Presented by Basil Wolfrhine. First showing of the episode 17 on 27th Oktober 2016, 7pm UK time!